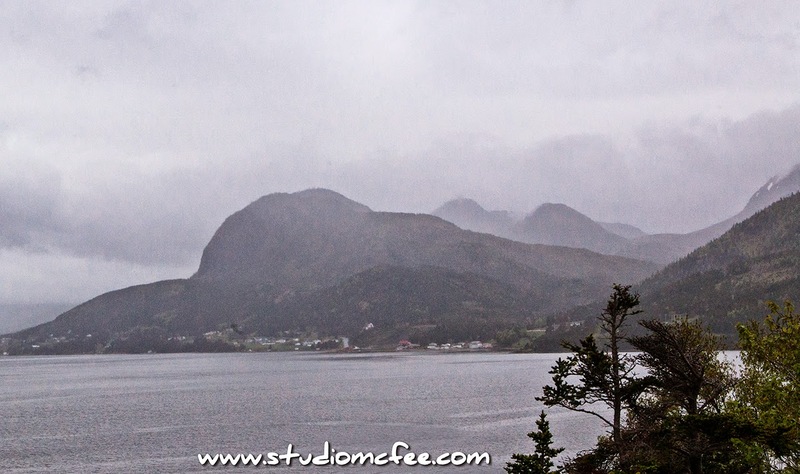 On the day we arrived in Newfoundland, the rain enveloped us. We drove through a landscape that became increasingly intriguing. Nothing had prepared us for these mountains blanketed in mist. Somehow, we had left Canada behind and arrived in the exotic land of Gros Morne. At first we were discouraged by the weather, but the rain and mist added mystique, ambiance. The sunny days that followed were illuminating but not quite as magical as the drive into these misty mountains.